They fight for our nation’s freedom, strengthening the pride of Americans, while providing support for local troops and their communities, and they do it all through the power of music. They are the 323d Army Band “Fort Sam’s Own,” and Arts gives you an in-depth look as to what makes this band so unique. Unlike a traditional musical band, the 323d Army Band displays extraordinary talents both on and off the battlefield. 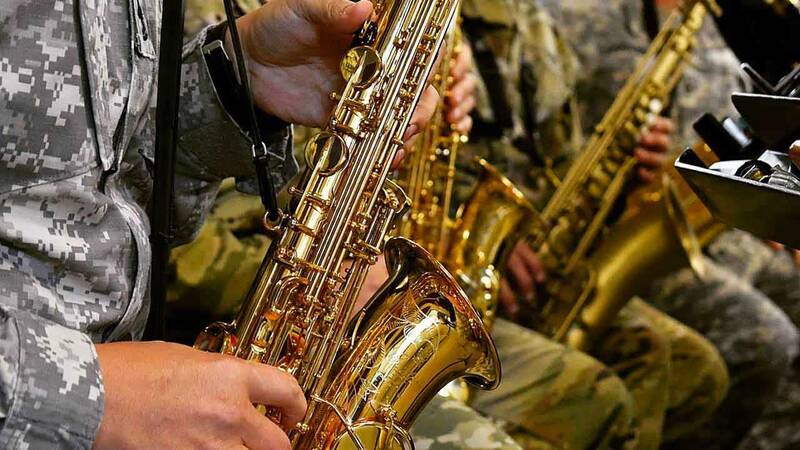 Considered their full-time job, musicians in the 323d Army Band spend their days training, rehearsing, traveling and coordinating performances for troops and communities all across the world. Stepping outside the realms of most musical tours, they find themselves in regions other musicians dare not go. Risking their lives at the expense of pride, the 323d Army Band lifts morale where it is needed the most. Music serves as an inter-woven fabric bringing people together, even in the midst of chaos. It is during times of hardship when music can lift human emotion, which is why for Commander CW4 Jonathon Ward, leading the 323d Army Band is a privilege like no other. “Music has a power that nothing else has. We play a concert and politics go away. It’s all about the music,” said Ward. The 323d Army Band understands that for troops serving across seas, families and veterans, a sense of comfort can be found through a musical connection, which is why during the holiday season they coordinate special events. As they rehearse for their upcoming Christmas performance in New Braunfels on December 17, they stop to thank their fellow soldiers for serving with professionalism even through the darkest of times, honoring all fallen soldiers. Music speaks for itself, when no words can sum up emotion. Watch this episode of Arts airing Thursday, Dec. 15 at 8 p.m. on KLRN.